It may have been inspired by All the President's Men (1975), a film about the Watergate scandal. Both films have investigative journalism as their protagonist, in the case of Spotlight, the investigation was directed towards cases of pedophilia executed and hidden by one of the oldest, most respected and hermetic institutions such as the Catholic Church in the city of Boston, Massachusetts. In first page, winner of the Oscar 2016 as best film, shows an exhaustive investigation of the direct victims and some investigators, writers and writers who with their testimonies would allow to feed and shape the journalistic work. Boston, was considered for the historical moment in which the film is developed one of the populations with the largest number of parishioners of the Catholic religion. For the research team, it was an arduous task to be able to demonstrate, analyze and inquire about one of the best kept secrets of the church. Is it the predominant behavior within the Church? Who are responsible for the censorship of this type of case ?, the two questions that surely sought to answer the news team. For the development of journalistic work will always be necessary that sixth sense developed by those who practice this profession, which allows them to see a little more than what most people can appreciate about a certain fact. This can be seen in the follow-up and interest shown by Martín Barón, the new Executive Editor of the Boston Globe, in the initial article that gives rise to the in-depth investigation that the newspaper team would develop. Usually, in most journalistic genres, it goes from the general to the specific. 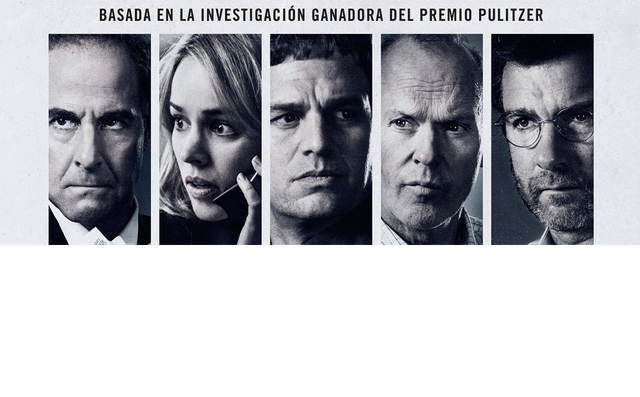 It is not the case of the investigation carried out by Spotlight, since they started from a small sample as it was the initial article, until the final work that included dozens of similar cases. Financing and search time are determining factors for the realization of this type of projects. Barón, with the support and confidence that he gave to his reporters, made possible an investigation that lasted for at least two decades. The compilation of data of importance and of documents of progressive form was justifying the investment of time and money realized. The data was being stored in a database. Judicial documents, news, directories of the archdiocese identified by date and place made it possible to determine and identify cases of priests who disappeared and were transferred without reason. Another edge to which the success of the investigation can be attributed was the delegation and distribution of functions. Each journalist dedicated himself to a particular case and exploited his best skills to conclude with the summation of all the contributions and the publication of the final work. All researchers have their share of responsibility: the reporters, interviewers, people in charge of making the database, the editors and of course, who contacted the sources. The film shows the journalistic activity as an informative service to the population, which seeks to give voice to those who do not have it, unveil hidden stories, defend in some way the victims of injustice and end abuses of power.